AERMOD is the Environmental Protection Agency’s (EPA’s) preferred regulatory tool for modeling pollutant dispersion. 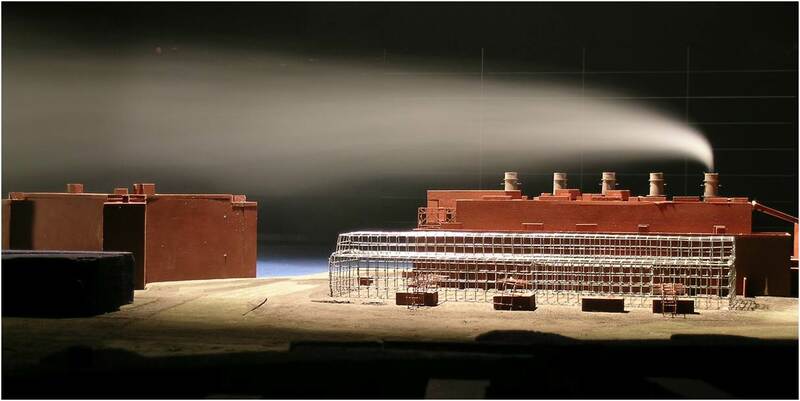 If you work with AERMOD, then perhaps you already know that it can predict pollutant concentrations that are less accurate—and often worse—than those seen in reality for certain kinds of buildings and structures. For instance, the following situations are likely to cause problems for AERMOD. Users rely on the Building Profile Input Program (BPIP) to turn site plans and building heights into the inputs that AERMOD requires. But unless your building’s dimensions happen to fall within the range of values for which AERMOD has been optimized, you’re likely to be disappointed with the results. 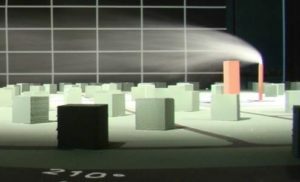 We characterize dispersion behavior using a scale model of the real buildings, surroundings, and terrain. We do this for wind approaching from all directions. We next replace the scale models with a simple rectangular building whose dimensions are suitable for AERMOD. We can move this building to various locations near the pollution source (stack). We adjust the size, shape, and position of this simplified building until the ground level dispersion behavior matches what we found for the original scale models. Our clients find that this EBD approach not only saves them time and money, but it also delivers more accurate results than would otherwise be available. The EBD method is just another way that CPP delivers solutions supporting safe, comfortable, and efficient design. Please contact CPP today to learn more, and be sure to check out the white paper in our technical paper library that describes the EBD method in greater detail.